LouFest, a two-day music festival in St. Louis, is back with a stacked lineup featuring OutKast, Arctic Monkeys, Cake, Grouplove, Portugal. The Man, and more. And it's LESS THAN FOUR WEEKS AWAY!! The fun takes place at Forest Park on Saturday September 6th, and Sunday September 7th. We're happy to announce another ticket giveaway today! We have two (2) 2-day G/A passes to give away to LouFest 2014! Before we get to the details on how to enter our contest, let's have a listen to Arctic Monkeys' "Do I Wanna Know," a song you'll probably be hearing at LouFest 2014. Now...here's how to enter to win two (2) 2-day G/A passes to LouFest 2014. 2. Simply copy and paste this into a tweet on Twitter: I entered to win a pair of 2-day G/A tickets to @LouFest in #STL on 9/6 + 9/7 on @speakersincode. 3. Like and comment with your favorite LouFest band on the most recent LouFest photo on our Instagram. 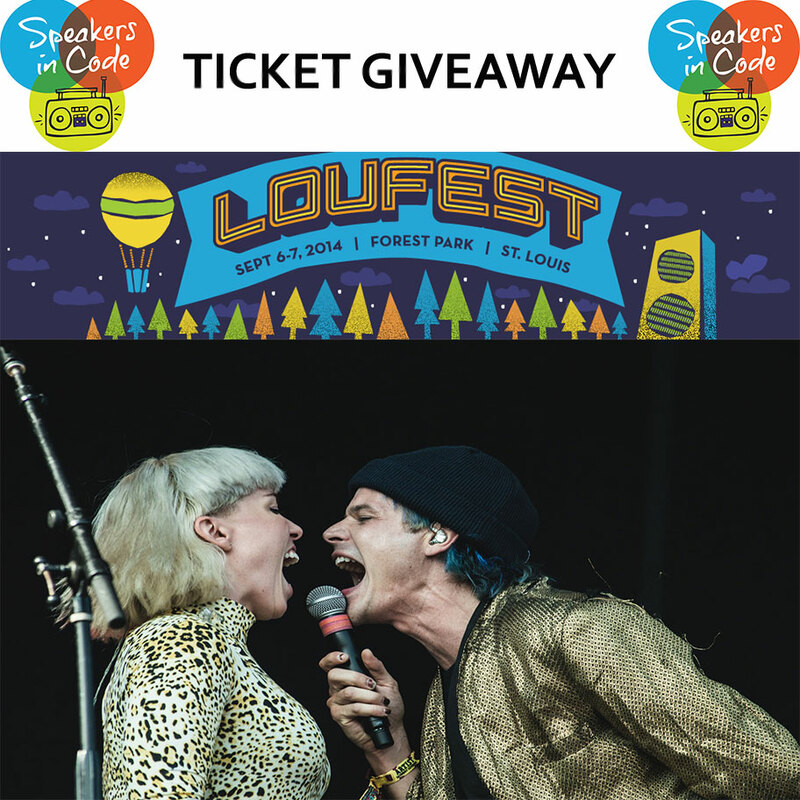 The Speakers in Code LouFest Ticket Giveaway will run through Wednesday, August 20th at 5PM (CST). The winner, chosen at random, will be announced on Thursday, August 21st. Any questions, please email Jason at jason.speakersincode@gmail.com. Thank you, and GOOD LUCK!